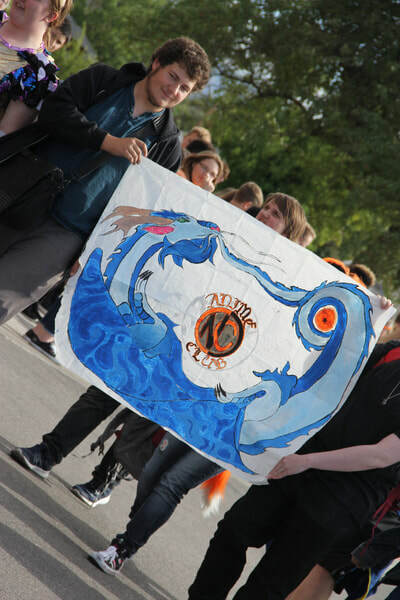 Clubs at NCHS connect students with similar interests outside of the classroom. Anime Club meets on a weekly basis. Members also have the opportunity to attend mystery dinners as well as Cos-Play conventions in Denver. ​ Members meet to discuss all types of Anime, watch a variety of Anime videos and even spend some time on Anime drawing. If you are interested in all things Anime, this club is definitely for you. 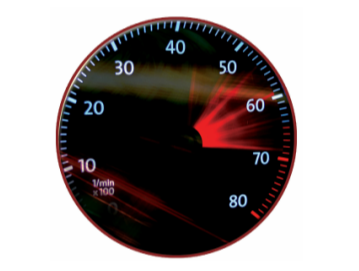 The NCHS Auto Club will be meeting every Thursday from 3:00 to 5:30 in the auto shop. For more information, please see Mr. Watson in the auto shop. The auto club provides an opportunity for students to hang out with people who share similar interests. Some of the many club projects include fund raising oil changes and raffles, pizza parties, and a yearly faculty appreciation luncheon. The main focus of the club, however, is the restoration of a 1965 Ford Mustang. This car was recently purchased from its original owner in Seward, Nebraska. Currently, the auto club is rebuilding the car’s engine, a 302 cubic inch V-8. The completed car will eventually become Natrona’s official mascot car which will be driven in events like the Casper Parade. Active auto club members receive a free auto club T shirt coupled with lots of free food and drinks. The club meets every Thursday from 3:00 to 5:00 in the auto shop during lunch. Don’t miss out on the opportunity of a lifetime! Chess Club is here for anyone interested in playing from beginners to more advanced. 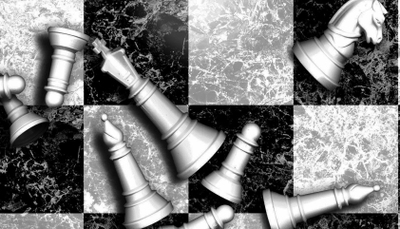 The objectives of the NCHS Chess Club are to teach beginners the basics of the game and to help more advanced players to improve their play; to provide students the opportunity to compete in tournaments, weekly challenges, and casual games; to occasionally experiment with variations of the traditional game; to provide an accepting, friendly, relaxed and comfortable place for chess players to meet. Students, former students, community members and teachers play chess in an informal setting. Within the context of the weekly meeting students have opportunities to achieve the above stated objectives. The NCHS Chess Club meets every Tuesday after school in room 1070. 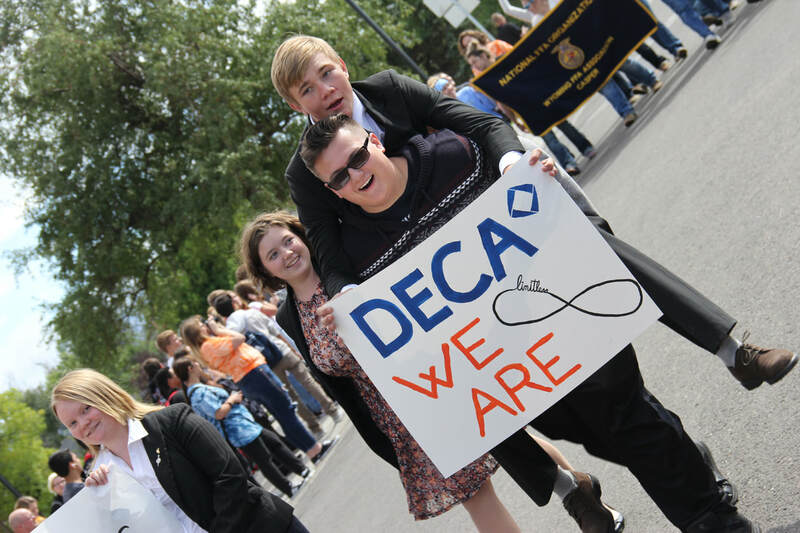 Natrona High School DECA has been active since 2000. Some of the activities that DECA members are involved in include fundraising, community service, recruiting and business partnerships and sponsorships. 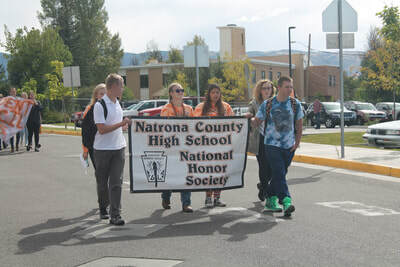 Ways in which Natrona DECA is involved in the community include working with Make a Wish Foundation, Self Help Center, School supplies for Iraq school children, food drives and children's gloves/mittens for the Salvation Army as well as adopting a boy & a girl each year off the Mall Christmas Tree. 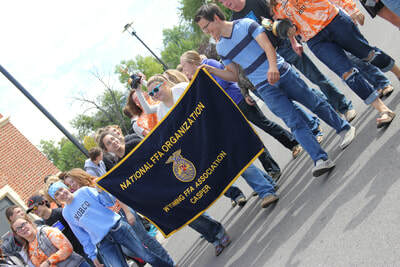 FFA members are part of a total agricultural education program that connects students to exciting careers in the science, business and technology of agriculture. FFA is only one of the three essential components of the program, all of which work together to provide members with leadership, academic and career experiences essential for success. Members are active in the community with service, leadership, scholarship and character. The Orange and Black Chapter of National Honor Society (“NHS”). What do we do? Organize and help with events to improve our community and the rest of the world. We hold bi-weekly meetings during lunch to organize events throughout the school year. Where do we do this? Our bi-weekly meetings are held at Natrona County High School. The events happen all around the Casper community. A majority of the money raised is used to help people in our local community. Some funds are also used to help around the world through an international group called the “Heifer Foundation,” which provides self-sustaining resources to families in third world countries. How can you be a part of NHS? ​ In order to be a part of NHS Students must be “nominated” during the course of their sophomore year by their teachers for showing character, scholarship, leadership and service. They are then notified and must go through a process in which they submit an application for membership. 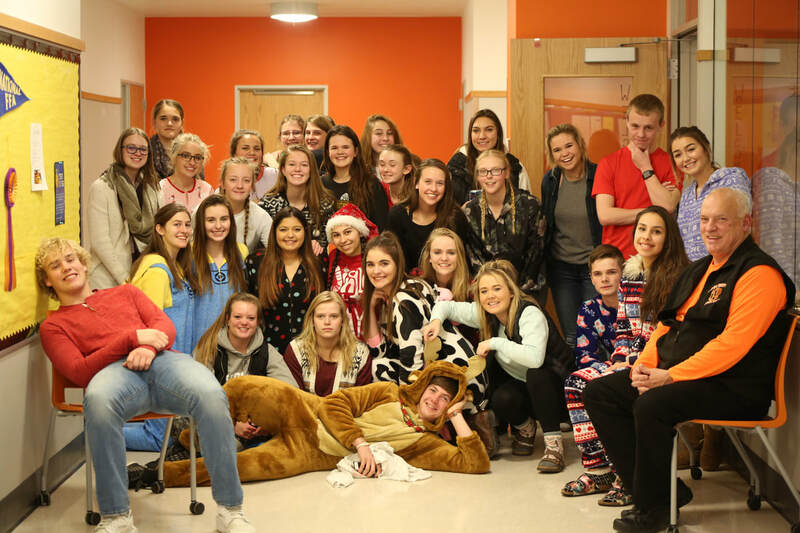 Each member of NHS must contribute 8 service hours per semester and adequate attendance at bi-weekly meetings in order to be a part of the NCHS NHS. 1. They must be of sophomore, junior or senior classification. 2. They must have the equivalent of a B grade average, or be in the upper third of their class in general scholastic standing, either for the year of their election or for the cumulative total of all high school work. 3. They must have done superior work in some phase of journalism or school media work. 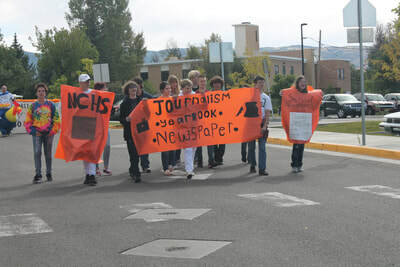 They may be staffers of a magazine, newspaper, yearbook, news organization, online site or radio/television station at the school, or one conducted by an external organization. 4. They must be recommended by the supervisor or by the committee governing the media. 5. They must be approved by the Quill and Scroll Executive Director. 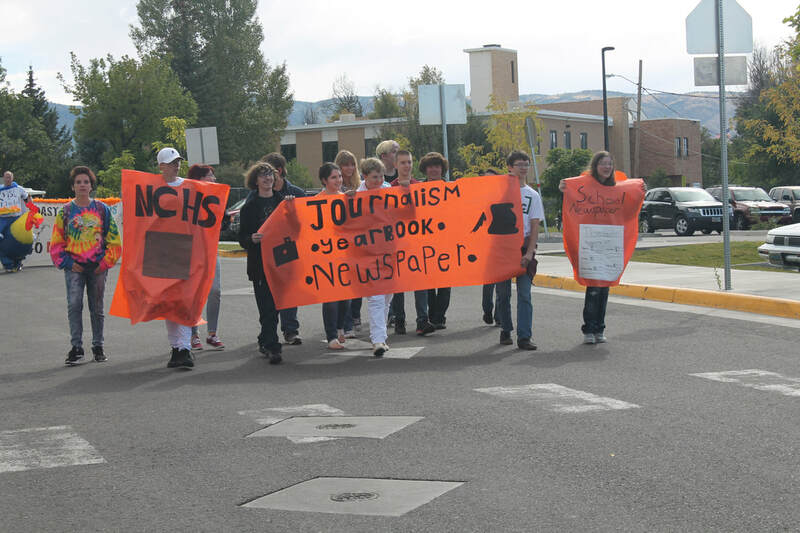 Membership is open to all media staff members in a chartered or member high school. ​ A variety of students, representing the school's clubs, activities and leadership, help advance the activities of Student Council.